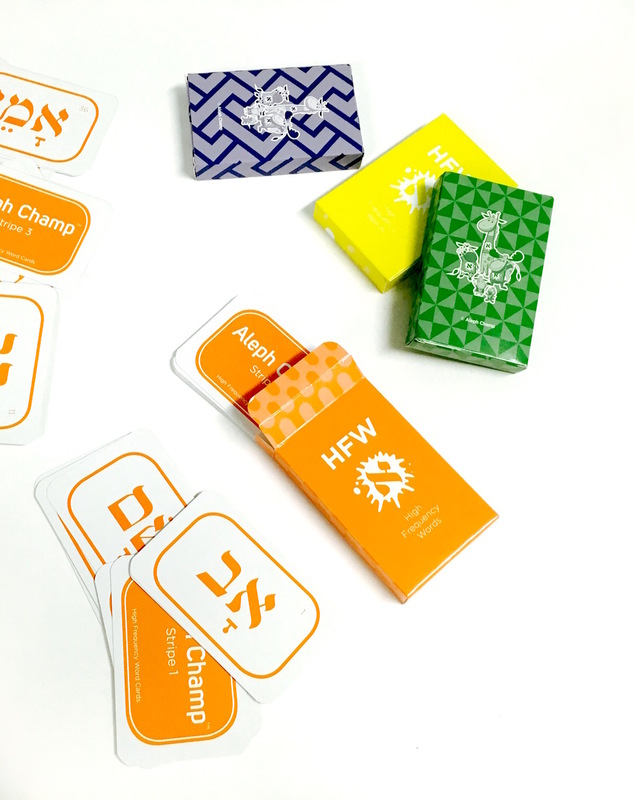 Our HFW flashcard sets include the most common Siddur words. Students learn sight words for orange – blue levels. 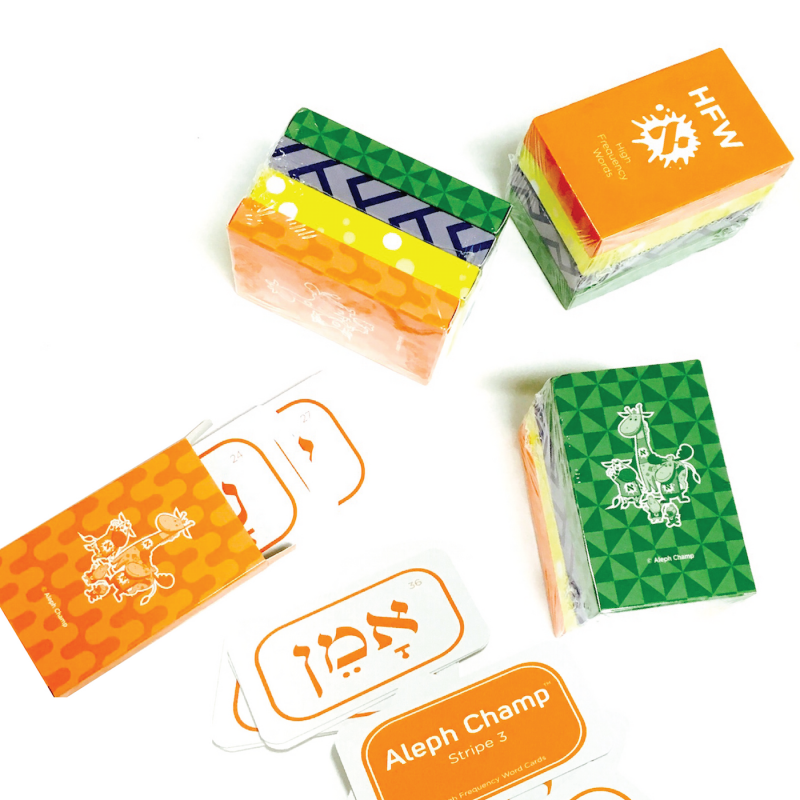 Cards can be used for teaching, review & games.